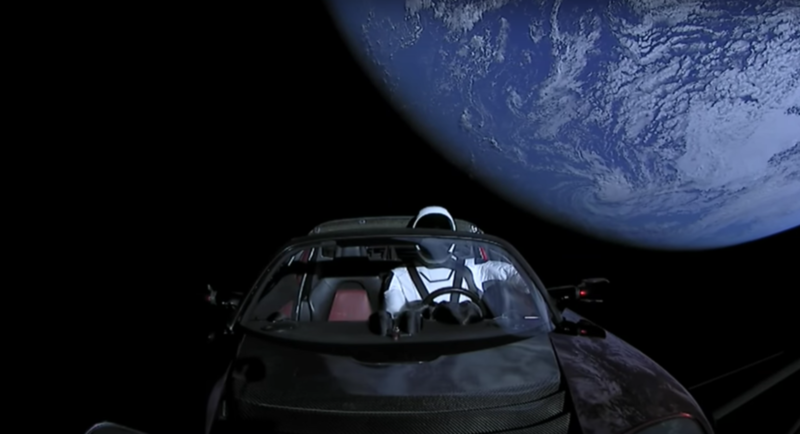 Tesla reported a record $675 million loss in the fourth quarter of 2017, a day after company founder Elon Musk performed an eccentric PR stunt, launching his personal roadster into space aboard a SpaceX rocket. 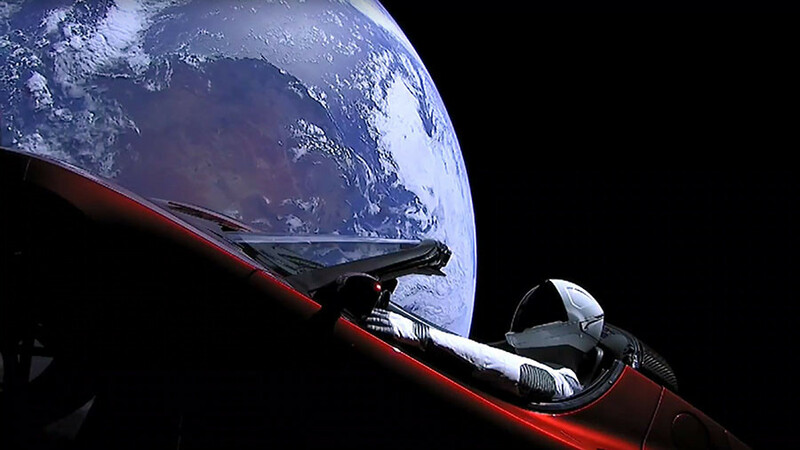 While Musk was sharing the final picture of “Starman in Roadster enroute to Mars orbit and then the Asteroid Belt,” back on Earth, Tesla reported a $675,350,000 net loss in the last quarter of 2017. The declared loss is a record high in the history of the company. 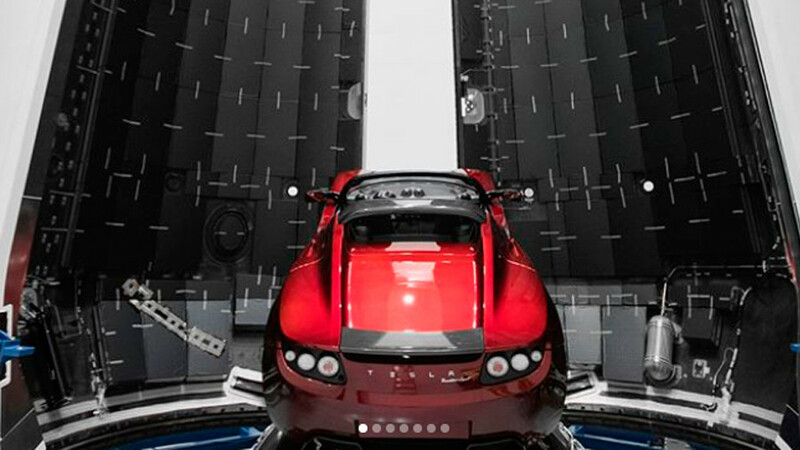 During the last quarter of 2016, Tesla lost a “mere” $121 million. Tesla blamed the loss on the huge investments into rolling out the Model 3 sedan, the production of which has been running months behind schedule. The company built only 2,425 Model 3 vehicles in the fourth quarter and had to cut the production target yet again last month, admitting it won’t hit full-scale production until at least the end of June. 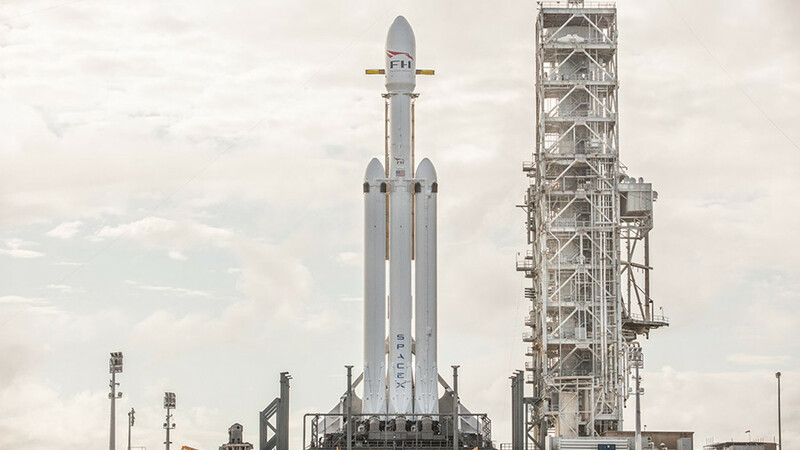 The company also told investors they were “thrilled to surprise everyone with the next-generation Roadster,” a day after Musk sent his first-generation Roadster to Mars aboard a SpaceX rocket. 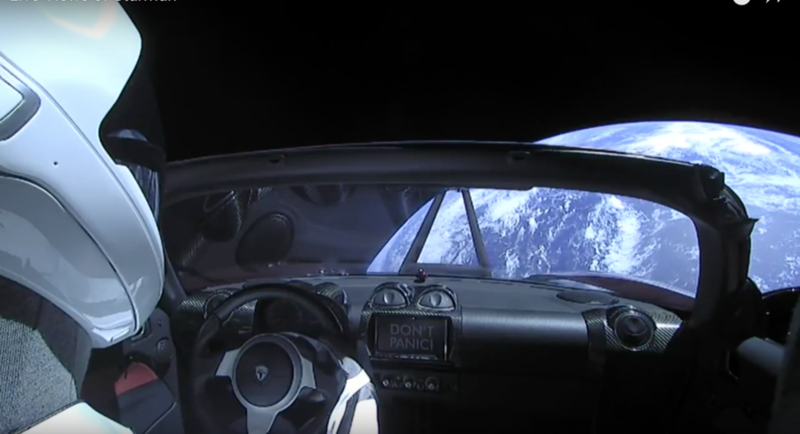 The electric sports car is piloted by a mannequin, with David Bowie’s Space Oddity on loop and a copy of Douglas Adams’ ‘The Hitchhiker’s Guide to the Galaxy’ in the glove compartment. 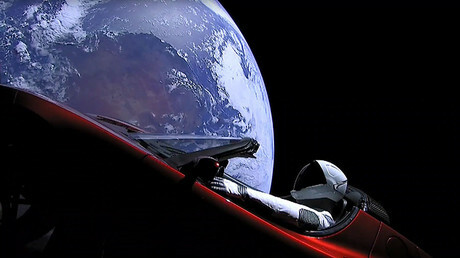 The Tesla and SpaceX founder seemed to downplay the production issues on Wednesday, saying it was “just a matter of time” until the company starts producing 500,000 Model 3s per year.“If we can send a Roadster to the asteroid belt, we can probably solve Model 3 production,” Musk said. 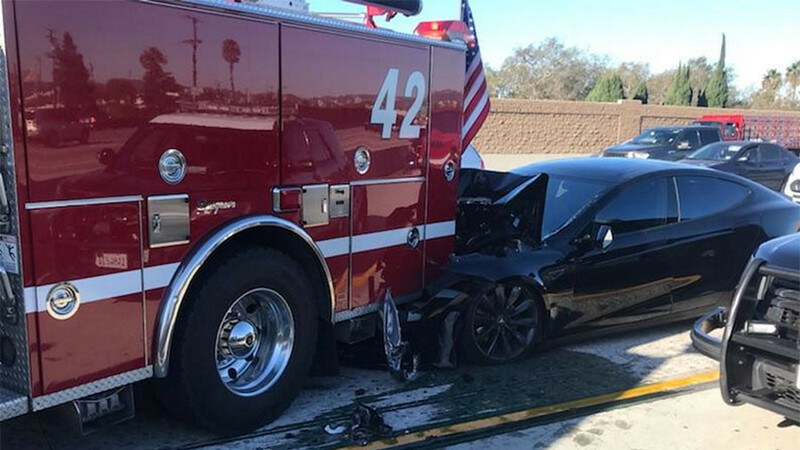 He also warned investors about the planned capital expenditures on rolling out the new Tesla Y model in late 2018.